Kia Motors has been ranked among the top 60s global brands for the second year in a row. 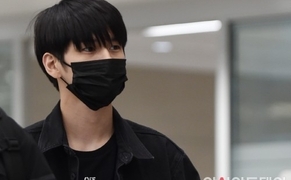 The Korean manufacturer has become the 69th most valuable brand in the world with estimated brand value of US$6.7 billion, according to the Best Global Brands report released by Interbrand on Monday. 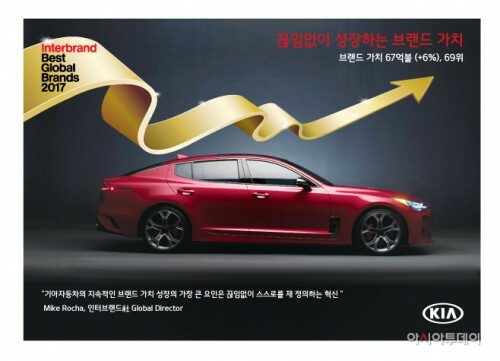 Kia's global brand value has risen sharply since entering the top 100 global brands list in 2012. This year, its brand value has grown 6% over the last year to US$6.7 billion. This is a seven-fold increase since 2006, the first time when the brand declared design management as a key driver of the company's future growth. Since 2005, Kia has set "The Power to Surprise" as its brand slogan to enhance brand awareness and image. In order to implement it effectively, the company has been executing various innovative activities for customers. In June, Kia ranked first in the USA's J.D. Power Initial Quality Study for a second consecutive year, surpassing both premium and general brands. It's the first time in the 30 years history of J.D. Power Initial Quality Study that the general brand placed first for the second consecutive year. "We have been endeavoring to provide differentiated brand experiences and authentic communication despite tough market conditions both at home and abroad. We will do our best to provide products and brand experiences beyond expectations," a company official said. 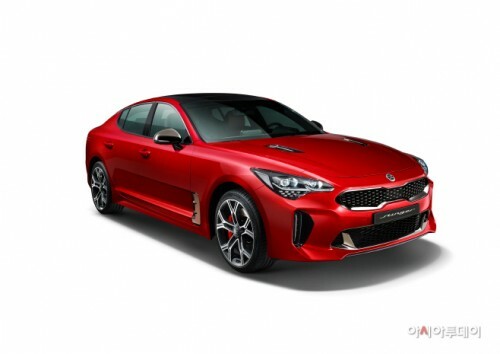 "Kia's continued efforts to evolve and redefine itself are critical to the sustained growth in its brand value," an official from Interbrand said.